Composite security entrance door with double glazed and leaded inserts, full height matching window to side, textured ceiling, smooth plastered walls all painted in neutral colours, wood laminate flooring, glazed door with bevelled glass through to Reception/Dining Area. White double glazed window to rear, smooth plastered and coved ceiling, smooth plastered walls all painted in neutral colours with feature decorative wallpaper to two walls, feature brick-built fireplaces with recessed shelving, "Stovax Yeoman" multi-fuel log/coal burner with separate gas point, wood laminate flooring, wall light points, television aerial point, various power points, radiator, two sets of double folding natural wood doors through to Conservatory. Set with all sides bar one to the garden. High vaulted, blue tinted, heat reflective, self cleaning glass. Feature LED lighting above, windows to all sides and double opening doors to rear garden, radiator, various power points, wood laminate flooring. White double glazed window to front, white double glazed door to side, smooth plastered ceiling and walls all painted in neutral colours with chrome trim inset LED lighting. Range of neutral coloured base and wall units, four zone induction hob with pull out extractor fan above. "Siemens" multi-function double oven at eye-level, one and a half bowl stainless steel sink unit with mixer tap, space and plumbing for two domestic appliances, part-tiled walls, tiled floor, various power points. The ground floor rooms from this point could be closed off and used as "Separate Annexe Area". Smooth plastered ceiling and walls all painted in neutral colours, inset LED lighting, recess storage area, Karndean wood effect flooring. double opening doors to Utility Cupboard with wall mounted Worcester Bosch Combination boiler serving hot water and central heating systems. Double glazed window to side, double opening large patio doors offering stunning views over open farmland, textured and coved ceiling, smooth plastered walls all painted in neutral colours with feature decorative paper to one wall, television point, various power points, radiator, wood laminate flooring. White double glazed window with opaque inserts to side, smooth plastered ceiling with inset LED lighting, fully-tiled walls in modern ceramics with complementing floor tiles. Tiled shower cubicle with glazed chrome trimmed entry door, chrome bar shower with flexible hose and multi-function head. "Ideal Standard" wall-mounted wash hand basin with chrome mixer tap and chrome fitments, dual-flush low-level w.c, heated chrome towel radiator. Neutral plastered ceiling with ceiling light point and loft access, smooth plastered walls with decorative paper to two walls, neutral coloured carpet, power point, door to Master Bedroom. (Potential to Divide into Two Rooms). 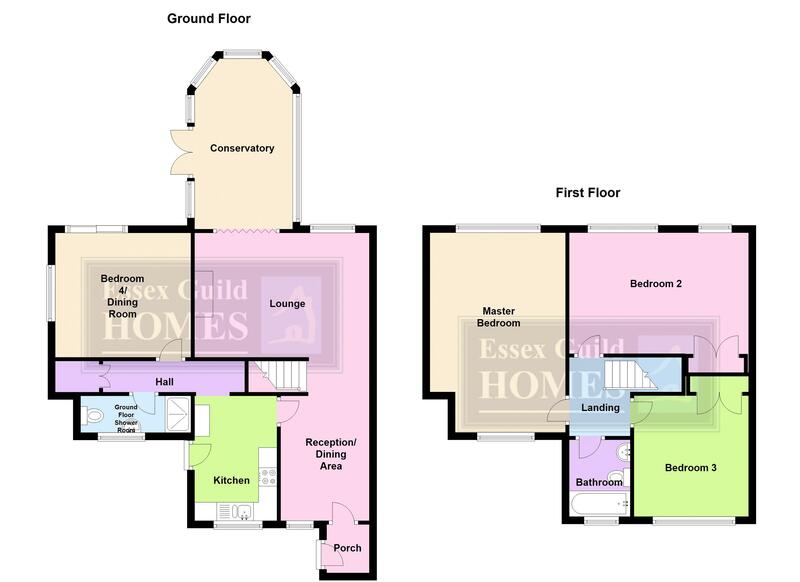 Dual aspect windows, large panoramic white double glazed window with Spectacular far reaching Views over Open Fields. White double glazed window to front, textured and coved ceiling, smooth plastered walls with some feature decorative paper, television point, radiator, various power points. Two white double glazed windows overlooking open fields, textured and coved ceiling, part papered part plastered walls in neutral colours, radiator, various power points, built-in storage cupboard, telephone point. White double glazed window to front overlooking communal green, textured and coved ceiling, part papered and part plastered walls in neutral colours, radiator, various power points, neutral coloured carpet, walk-in wardrobe. White double glazed window with opaque inserts to front, smooth plastered and coved ceiling with inset spotlights, part tiled walls in neutral coloured ceramics. Three-piece suite comprises panelled bath with antique style chrome mixer tap and flexible shower attachment. Dual-flush low level w.c., pedestal wash hand basin, complementing floor tiles, towel radiator. Extending to 90ft with fantastic views over open fields, completely landscaped rear garden commences with shaped paved stone patio area, winding gravel paths extend throughout the garden with various planting and box hedging, shaped lawns with inset beds, very well matured borders with established shrubs bushes and trees, feature rose arch, garden arbour, summer house with power and lighting to rear and greenhouse behind, "Hot Tub" in screened area with superb views, outside tap and lighting. There is potential for further extension subject to appropriate planning consent. Block paved frontage with natural screened hedging to side, brick built wall and gate providing access to rear garden. Located in a block several metres from the property. There is parking in front of the Garage for one vehicle.